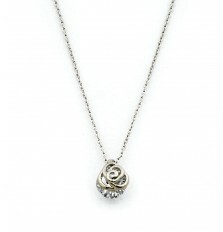 Delicate, contemporary and versatile necklace is a must-have piece this season. It is so easy to match and will add a splash of style to any outfit whether its in the office or to a date. It looks great on its own, or styled it with basic pieces for a modern take on the layering trend. Wishing Star Necklace in Silver has been added to your Cart. Bow Affair Dainty Necklace in Rose Gold has been added to your Cart. Double Heart Necklace in Rose Gold has been added to your Cart. Double Ribbon Necklace in Rose Gold has been added to your Cart. 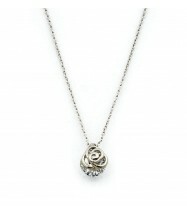 Dainty Rose Necklace in Silver has been added to your Cart. Bow Affair Dainty Necklace in Silver has been added to your Cart. Double Heart Necklace in Silver has been added to your Cart. Double Ribbon Necklace in Silver has been added to your Cart. Wishing Star Necklace in Rose Gold has been added to your Cart. Dainty Rose Necklace in Rose Gold has been added to your Cart.